Russian and Japan held their first-ever joint conference between defense and foreign ministers on Saturday. They discussed international security and bilateral relations, as well as plans to hold joint navy exercises to combat terrorism and piracy. The countries have never signed a treaty to mark the end of World War II due to a territorial dispute over the Kuril Islands in the North Pacific - an archipelago claimed by both Japan and Russia. The two-day talks were the first to be held between the two countries in the 2+2 format. 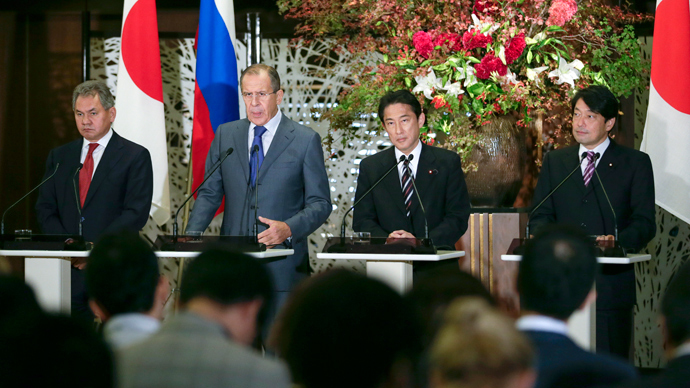 The foreign ministers of both countries said the meeting helped “build trust” between Russia and Japan. "To boost cooperation in the field of security, and not just in the field of economic and people exchanges, means that we are improving overall Japan-Russia ties," Japanese Foreign Minister Fumio Kishida said at a news conference. Defense and foreign affairs ministers of both countries showed the “highest aspiration” to solve the dispute surrounding the Kuril Islands and “sign a peace treaty,” Japanese Prime Minister Shinzo Abe said. “Our overall assessment is that, in addition to the already existing contacts, 2 +2 format of the meeting will play an increasingly important role in the improvement of the Russian-Japanese dialogue," Russian Foreign Minister Sergey Lavrov said. Following the meeting, Moscow and Tokyo confirmed their intention to hold the first joint military exercises to combat piracy and terrorism. The two countries have previously carried out 13 navy exercises connected only with rescue and search operations. The two sides agreed to strengthen bilateral cooperation in the field of maritime security between their ships in the Gulf of Aden. "Our sailors could spend the joint exercises [on] the exchange of information and mutual assistance,” said Russian Defense Minister Sergey Shoigu. Japanese Defense Minister Itsunori Onodera added that both sides agreed to conduct regular visits of defense ministers, as well as exchange observers at the military exercises. Shoigu was the first Russian defense minister to visit Japan in the last ten years. In the framework of the talks, it was important for Japan to explain that the country is keen on playing a more active role in world affairs. It also aimed to achieve an understanding of the Russian side and explain Tokyo’s idea of "active pacifism” and its new approaches to the issue of self-defense. Abe has been pushing hard the concept of active pacifism – increasing Japan’s engagement in safeguarding the world’s peace and security – since September, China Daily reported. Japan assured that "the policy of active pacifism will be implemented strictly within the framework laid down in the basic law of Japan's policy of peace,” said Lavrov. Article 9 of the Japanese constitution not only forbids the use of force as a means to settling international disputes, but also forbids Japan from maintaining an army, navy or air force. Also at the conference, foreign ministers agreed that the two countries would start holding meetings on the issue of cyber-security. A subject of Russia’s concern was the deployment of elements of a US missile defense network in Japan. “We made no secret of the fact that the creation by the US of a global missile defense system, including a Japanese element, is causing us grave concern, primarily over the possible destruction of the strategic balance of power in the Asia-Pacific region,” said Russia’s defense minister. Moscow has suggested holding an additional meeting with Tokyo about Russia’s apprehension over Washington’s move to deploy missile defenses around the arc of the South China Sea, including a new missile defense radar in western Japan to join an existing radar in the northern Aomori prefecture. Japan is concerned about rising tensions in the Pacific region, especially considering North Koraa’s missile launches and increased military presence in China, Japan’s minister of defense told RIA Novosti before the talks. Meanwhile, Kishida said that “the linchpin of Japan’s defense policy remains its union with the US, and there will be no changes in this respect.” He added that Tokyo’s cooperation with Russia is not directed against any particular country. Lavrov also said that the format of the talks “does not infringe on Japan's relations with the US” or any third-party country. Japan’s FM expressed his gratitude that Russia supported the idea of Japan's participation in the Geneva-2 peace conference, aimed at resolving Syria’s civil war. Kishida also said that both countries would broaden their cooperation further within regional organizations such as the Association of Southeast Asian Nations and the East Asia Summit. 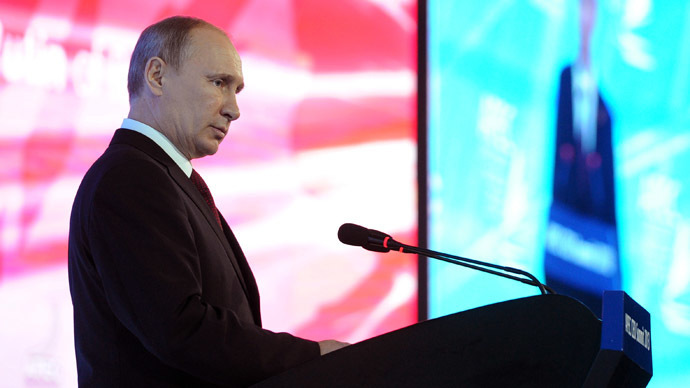 “Cooperation between Japan and Russia, as key players in the Pacific Ocean region, is important for fortifying peace and stability in the region,” he said. Russian and Japan agreed to hold the 2+2 meeting during talks between Russian President Vladimir Putin and Japanese Prime Minister Shinzo Abe in April. The next talks are scheduled to be held in Moscow next year. Tokyo had previously only held 2+2 talks with the US and Australia. 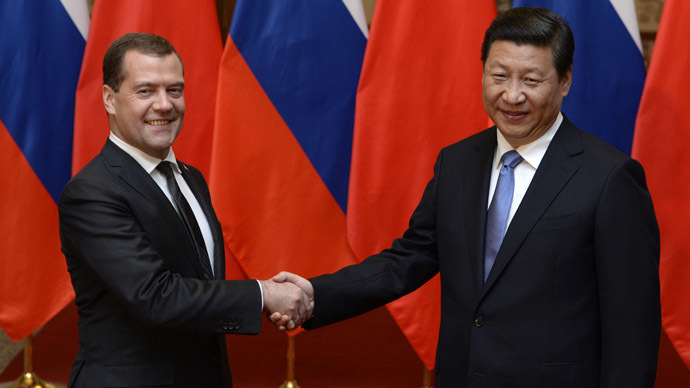 Japan’s FM stated that the event “laid a good start in order to open a new page in Russian-Japanese relations."